See more objects with the tag decoration, art, exhibition, wall hanging, sheer, delicate, grid, knots, net, shadows. This is a Hanging. It is dated 1989 and we acquired it in 1996. Its medium is nylon fishing line and its technique is knotted netting. It is a part of the Textiles department. 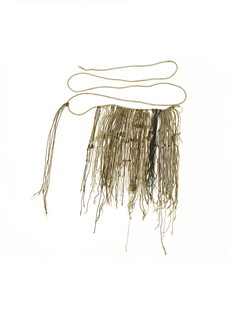 Joanne Segal Brandford’s knowledge of netting and basketry techniques was greatly enhanced by her work as a scholar and curator of ancient and ethnographic textiles. Inspired by traditional examples in museum collections, Brandford began experimenting with netted structures in the late 1960s. She was interested in treading the line between visible and invisible, between light and shadow. Some nets she displayed in the round as diaphanous sculptures suspended from one or several strings. Others she framed with multiple taut strings and affixed to the wall. These, she called ‘drawings’ because of the shadows they cast on the adjacent wall. When Brandford created this piece in 1989, she had recently completed a contract as research historian for the Herbert F. Johnson Museum’s traveling exhibition, Knots and Nets, which also included several examples of her artwork. 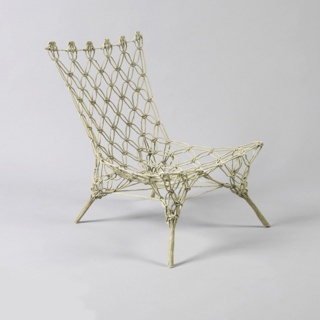 The exhibition combined ancient and contemporary examples of knotted netting, reflecting Brandford’s own practice, which merged research and art. 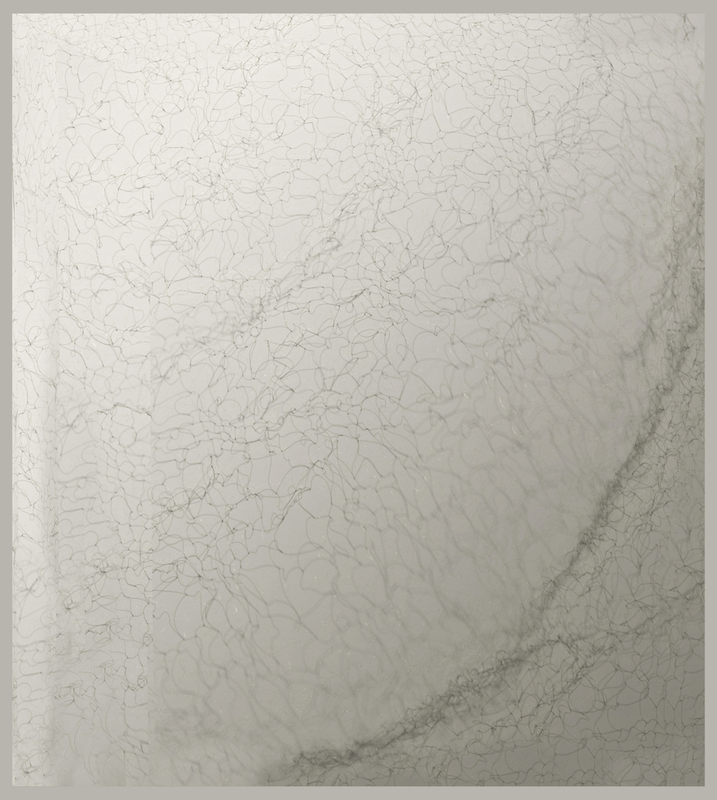 This object was featured in our Object of the Day series in a post titled Fiber and Air: A Net by Joanne Segal Brandford.